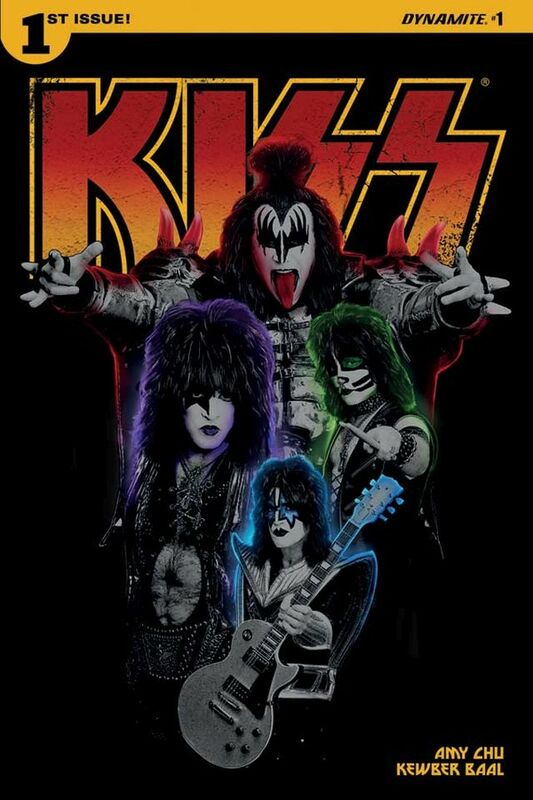 Aside from onstage brandishing their instruments amidst a backdrop of explosions, fire, and smoke, there's no place more appropriate for KISS to be at home than starring in their own comic book. Amy Chu's KISS #1 is proof that there are still creative channels to travel down for Starchild, the Demon, the Spaceman, and the Catman even after several previous comic book adventures through Marvel, Dark Horse, Platinum Image, IDW, and even Archie Comics. Her tale of mysticism and science fiction picks up the perfect amount of momentum in the first issue to keep readers interested in coming back for more. Amy Chu pens KISS #1. Kewber Baal provides the striking art. KISS #1 is rated T+ for Teen Plus. I'm really not entirely sure why. There's less here than we see in any of the mainstream DC Comics titles. I guess we'll see how things unfold in issue #2. 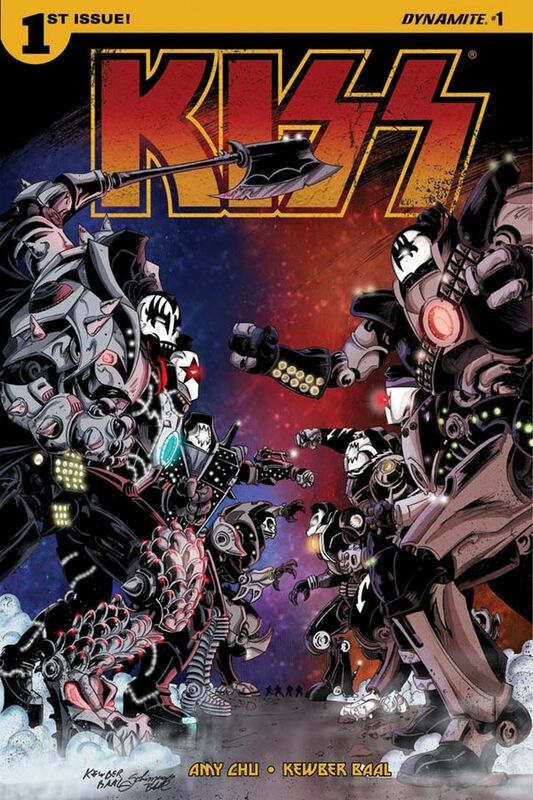 KISS #1 is available now in print and digital editions.